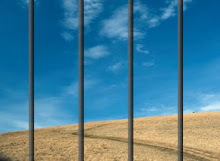 Carmenwas a prisoner meditating in Madrid. She wrote a letter before being releaded, to thank her teacher of meditation. As you know may be, I am going to be released. I am writing you to thank you to have helped me so much in these so difficult times for me. You are marvellous and I shall remind you ever. You taught me many things and most of everything to control better my feelings. Since I started the courses, I have seen the life and everything on a better way. 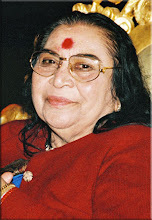 Sahaja Yoga helped me very much in this time of lonelyness and of sadness. Now, I am more peaceful, a kind of peace I never felt before. My feelings and my preoccupations are the same, but I look at them with more distance. Yoga means for me peace and balance. Thank you for you and thank you for your teachings. I promise you to follow your advice. I shall remind from everything you taught me about the Energy. I am sending a lot of kisses to both of you. The husband and the son of Carmen inmates in the same jail in the male section followed the courses of Sahaja Yoga, on her advice.